With a whole lotta summer ahead, and not enough demands on his time, managing Prince Firstly's schedule is tricky business. The name of the game so far is "odd jobs." Today, it's fixing the flower boxes and cutting the grass. Tomorrow, it's cleaning gutters and running to the post office. And the cars could be washed... More ideas? Send 'em in! LOVE this! 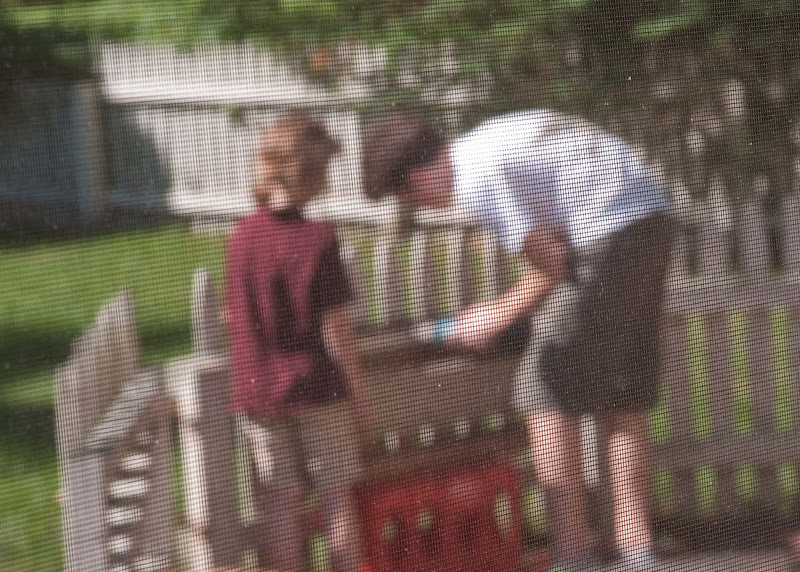 So interesting through the screen door.